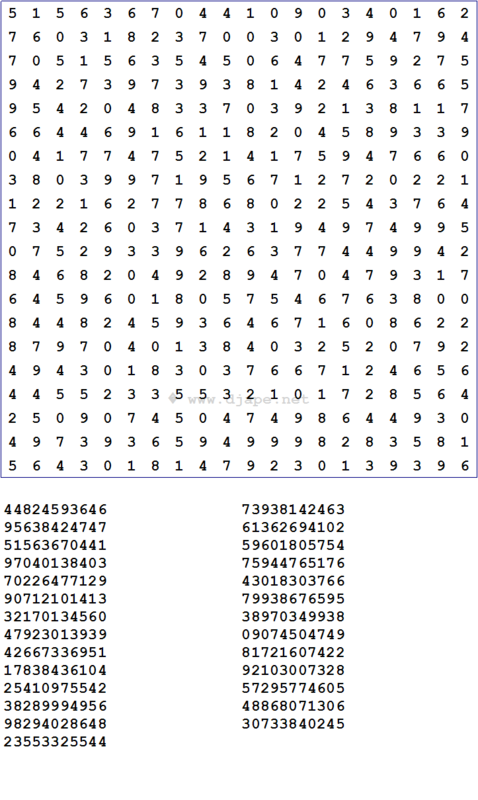 Here is a nice and simple puzzle for you: NUMBER SEARCH. It’s like word search puzzle but with numbers. Search for the numbers listed below the grid and find them in the grid. Search for them in any of the 8 directions (horizontal, vertical, left diagonal, right diagonal and each of them in forward and backward direction). The rules are simple but finding the numbers is not easy! What do you think? And it’s also available in PDF format. Click here to download Number Search in PDF format. 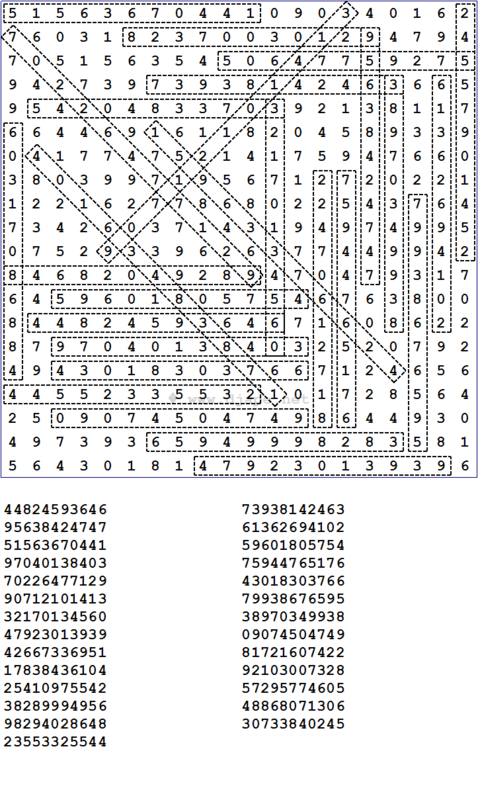 This entry was posted in Free sample puzzles, Puzzle variants and tagged Big Number Search, EASY, NUMBER, Number Search, PDF, rules, SEARCH. Bookmark the permalink. Post a comment or leave a trackback: Trackback URL. As much as I like your new binary puzzle and the futoshiki, this number search puzzle appeals less to me. It doesn’t require particular skills or techniques to solve, just persistent dedication. Not my cup of tea this one, but I’m full of praise for almost all the other puzzles you publish!